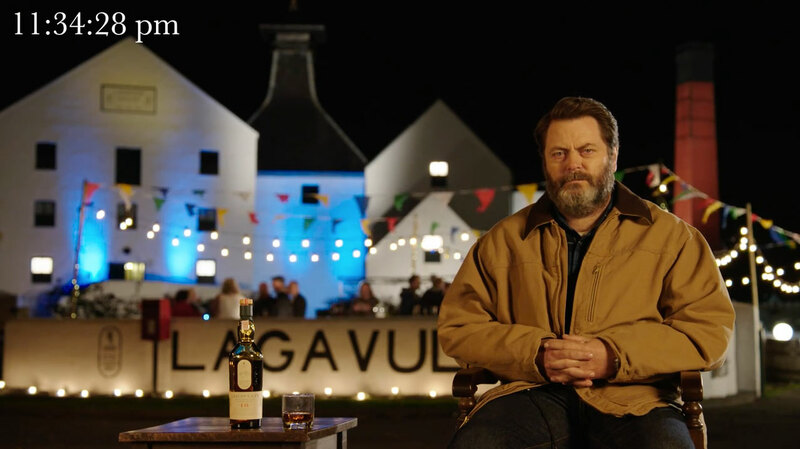 Last December, Nick Offerman teamed up with his favorite whiskey brand to create a yule-log video that was just 45 minutes of him sitting next to a crackling fire, sipping Lagavulin and staring at the camera. This year, he's reunited with the brand for something new—sort of. In what is probably a perfect send-off for 2016, Offerman appears im an hour-long video of him sitting on a dock waiting for it to be over. "I never make New Year's resolutions because I apply myself to every day of the year in a fashion that can only be described as 'resolute,' " Offerman said in a statement. "Because I am not a fool, my determined recipe for delicious living naturally involves a responsible savoring of Lagavulin." The understated effort, which comes from Diamond Docs' Morgan Sackett and Dean Holland, seems appropriate for a somber New Year's Eve party.